Artist Panel: Socially Engaged Art with Deborah Fisher (A Blade of Grass) via Skype, Kerry Morrison & Paul Hartley (In-Situ) and John Angus (StoreyG2). Deborah Fisher: Socially Engaged Art (OPEN2015) from Live at LICA on Vimeo. 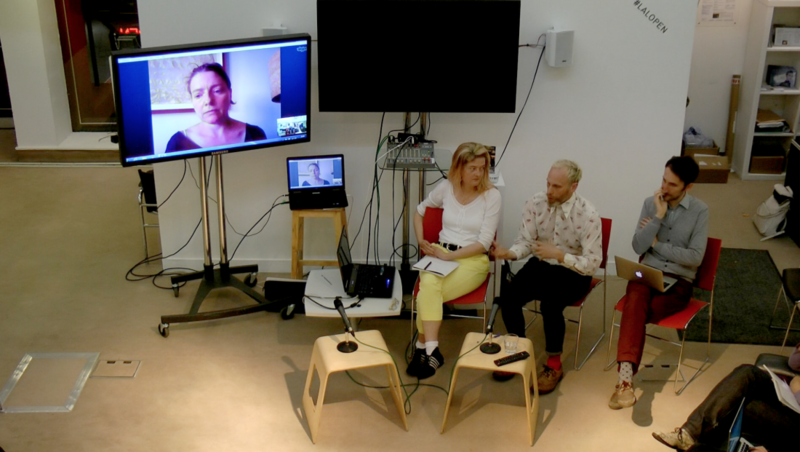 Hartley & Morrison: Socially Engaged Art (OPEN2015) from Live at LICA on Vimeo. John Angus: Socially Engaged Art (OPEN2015) from Live at LICA on Vimeo.